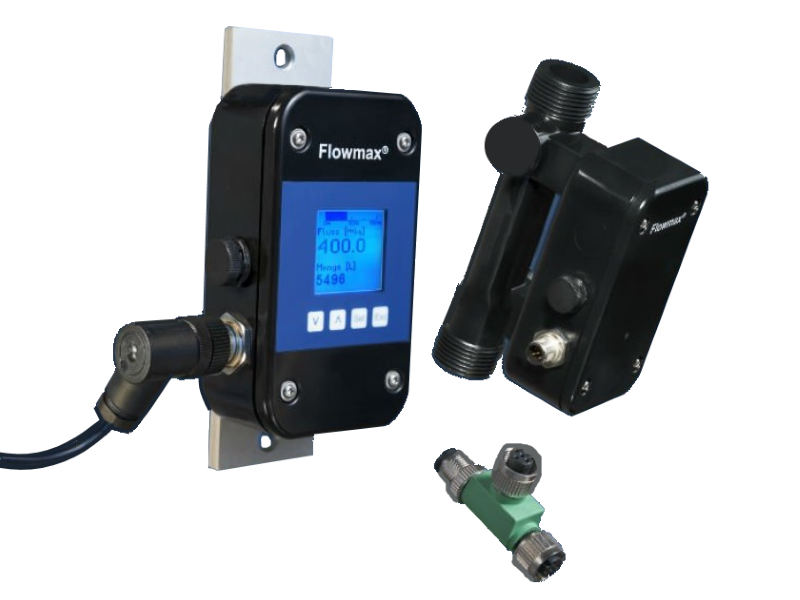 The FlowCon 200i is an external display and programming unit for use in combination with Flowmax ultrasonic flowmeters. FlowCon can be permanently installed as a separate display for Flowmax or alternatively as a mobile unit for commissioning. If the installed Flowmax is difficult to reach or there is not a display, the configured Flowmax outputs retain their full functionality by using FlowCon. The output signals, e.g. analog, pulse or alarm output, are available for further processing by external systems such as PLCs, recorders or external counting units. The FlowCon 200i is an external display and programming unit for use in combination with Flowmax ultrasonic flowmeters. FlowCon can be permanently installed as a separate display for Flowmax. Alternatively FlowCon serves as a mobile unit for commissioning​. CE, EN 50081-2, and EN 50082-2.